Yes, they have gone! The silence as we write this is astonishing: the usual early-evening chatter, the twitterings and busy to-ings and fro-ings from the nest – all have ceased. 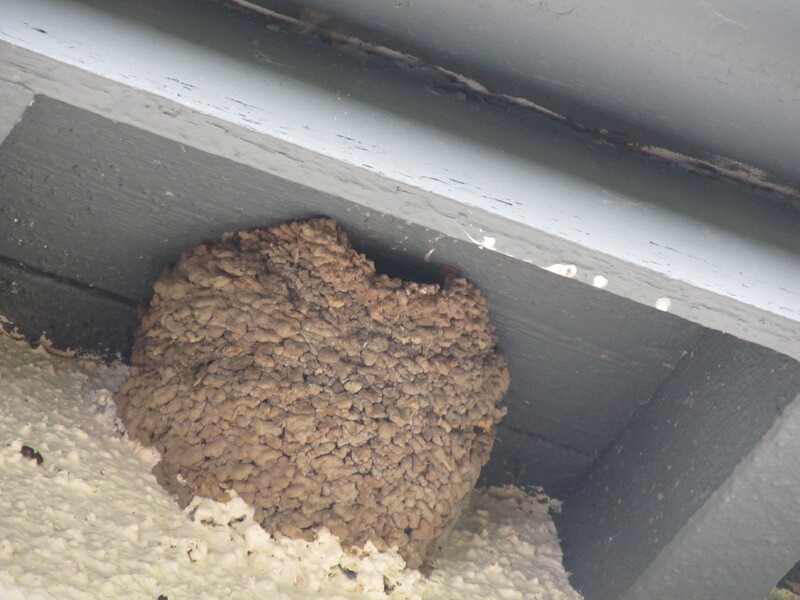 Now only the house martins’ little home remains, painstakingly constructed from the earth itself: like the remains of a lost civilization. Our feeling of sadness is profound. Mr Pip salutes you – our dear departed family – wherever on your lengthy journey south you currently are. This is a sorrowful day, on which we are all marking the passing of a close family member a long way from here. Losing the birds at the same time only reinforces the sense of bereavement. We look in hope towards the sun as it retreats towards the equinox, as it has been doing all the while these enchanting creatures were amongst us. Now they are gone, the light will not be long in turning to meet us again and, in its warming rays, we trust that we will hear those tell-tale chatterings outside the study window once again.